Bradley H. Trushin is a co-founder of Chepenik Trushin LLP and leads the litigation department of the firm. Mr. Trushin is a Martindale-Hubbell AV preeminent rated attorney and has focused exclusively on litigation for over twenty-five years. Mr. Trushin is admitted to practice in all Florida state courts, as well as the United States District Courts for the Southern and Middle Districts of Florida, the District of Puerto Rico, and the First, Third and Eleventh United States Circuit Courts of Appeals. 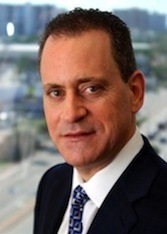 He has headed the appellate, litigation, and E&O departments in several law firms; authors CLE materials and articles, lectures, moderates and participates in panel discussions; and serves as a testifying expert witness on attorney’s fees, professional malpractice and insurance issues in Florida state court, federal court and before the American Arbitration Association. He also serves as an attorney’s fees consultant for attorneys, insurance carriers and private corporations, reviewing fee applications and advising clients on the handling of fee issues, including litigation concerning fees. Mr. Trushin has served as general litigation counsel for a company in which he managed over twenty law firms in the United States, including analysis of billing practices. Mr. Trushin has maintained a diverse litigation practice for over twenty-five years including business and commercial litigation, professional liability, products liability, appellate practice, and insurance litigation, including property and casualty (first-party and third-party), errors and omissions (legal, medical, insurance agents, real estate brokers, etc. ), and insurance coverage. He has tried over ten jury trials and over twenty- five non-jury trials, and he has handled over fifty appeals. He expanded his practiceover ten years ago to include probate litigation, which has become his principal focus. Mr. Trushin litigates adversary claims in probate courts in Miami-Dade, Broward, and Palm Beach counties, including will contests, will and trust construction, trust modification and trust reformation, trust termination, claims of undue influence, fiduciary claims on behalf of and against personal representatives and trustees, actions for accounting, lack of capacity, fraud, civil theft, abuse of the elderly, and guardianship controversies. Mr. Trushin represents personal representatives, trustees, guardians, beneficiaries and creditors in probate, trust and guardianship matters. Mr. Trushin has handled complex litigation cases for over 20 years before state and federal courts and arbitrators. He has litigated a wide variety of complex commercial claims in such areas as fraud and conspiracy, civil theft, Florida Deceptive and Unfair Trade Practices Act, securities registration and Florida Blue Sky Laws, commercial leases and corporate governance. For over two decades, Mr. Trushin has both obtained injunctive relief on behalf of employers, including emergency relief for breaches of non- compete and non-solicitation agreements, and he has successfully defended such claims on behalf of doctors, lawyers and business professionals. Furthermore, Mr. Trushin has litigated securities cases, including but not limited to, shareholder derivative actions, corporate control contests and partnership and shareholder disputes. He has represented both non-resident domestic corporations and foreign corporations in complex business litigation matters in state and federal courts. Mt. Trushin has extensive experience in all facets of insurance law, including insurance coverage disputes, and first party and third party claims in such lines as commercial general liability, property and casualty, homeowners, and E&O (legal, medical and accounting). He has handled numerous bad faith claims on behalf of carriers and has successfully defended claims in excess of $20 million. Mr. Trushin has extensive experience addressing attorney ethics issues working with the Florida Bar through his membership with Florida Bar Grievance Committee 11N, where he served as Committee Chair during two terms. His interest in attorney professionalism issues led to his involvement in the Dade County Bar Association Professionalism Committee, on whose behalf he has written articles and participated in forums addressing professionalism issues. He was appointed to the Eleventh Judicial Circuit’s Professionalism and Civility Committee by the Chief Judge in 2015. Mr. Trushin was elected to the Board of Directors of the Dade County Bar Association in 2016, and also serves on the DCBA Probate & Guardianship Committee and Bulletin Committee. On July 1, 2016, Mr. Bradley H. Trushin, Esq, was appointed to the State of Florida Supreme Court Commission on Professionalism for a four year term. His appointment was made by the Florida Bar Board of Governors Executive Committee. Primary practice areas: probate litigation, complex commercial litigation, insurance defense litigation, professional liability litigation. Chair of Litigation Dept. and Appellate Dept. Primary practice areas: insurance defense litigation, complex commercial litigation, probate litigation, professional liability litigation, appellate litigation. Chair of E&O Dept. and Appellate Dept. Primary practice areas: professional liability litigation, products liability litigation, commercial litigation, insurance defense litigation. Primary practice areas: appellate litigation, professional liability litigation, insurance defense litigation, products liability litigation. Chair of Appellate Dept. and Attorney E&O Dept. 2019 Florida Super Lawyers for Estate and Trust Litigation. Bradley H. Trushin, Florida Trend's 2018 Florida Legal Elite, selected by his legal peers as the best in the state of Florida in Wills, Trusts and Estates. 2018 Florida Super Lawyers for Estate Litigation and Trust Litigation law. 2017 Excellence in Professionalism Award, presented by The 11th Judicial Circuit Professionalism Committee, Miami Dade County. Invaluable pursuits of professionalism and civility among fellow lawyers. 2019 Bench & Bar Education. Brad Trushin, Esq. will moderate and facilitate an education panel of tax attorneys, estate and trust lawyers and Chief Judges on tax and trust law, Hyatt, Miami, FL. Details matter, so don't blink your eyes. Special issues for fiduciaries and family members who witness the signs of elder exploitation, lack of testamentary capacity, undue influence and abusive patterns such as sequestering or parroting. NAIFA Miami, Professional CE - 2 Hour Course, October 4, 2018, Miami, FL. Dying to meet you. When Intestate and Probate collide, how do you react? The perils of not having an estate plan. Education for 81 Miami business owners and managers, Business Network International. October 3, 2018, Key Biscayne, FL. Details matter, so don't blink Mr. / Mrs. Trusted advisor. The impact of probate administration, probate litigation, guardianship, lack of testamentary capacity and undue influence in the life insurance, long term care insurance and private wealth management circles. NAIFA Broward, Professional CE - 2 Hour Course, April 19, 2018, Fort Lauderdale, FL. Details matter, so don't blink an eye. The impact of probate litigation, guardianship, lack of testamentary capacity and trust litigation in the CPA professions. South Florida FICPA, CPE Seminar, April 19, 2018, Kendall, FL. Corporate businesses and attorney's fees disputes. CPE Seminar on Accounting and Auditing, Florida Broward chapter, Alpha Kappa Psi, November 10, 2017, Davie, FL. The impact of guardianship laws, elder abuse and undue influence in the Senior Care industry. Senior Care Resource group network, November 21, 2017, Aventura, FL. Probate law, probate litigation and guardianship laws, what does it all mean? Rotary club of Hallandale, December 27, 2017, Hallandale Beach, FL. Details matter, so don't blink an eye. The impact of probate litigation, guardianship laws and undue influence in the trust banking and private wealth management worlds. Suntrust Roundtable / Lunch and Learn series, Suntrust Private Wealth, August 22, 2017, Coral Gables, FL. June 2016, Miami Dade County Bar Bulletin, "Jeffrey Rynor, Esq. to be Installed as 100th President of DCBA on June 4, 2016"